Oscilloscope to visualize two waveforms. Visualises two signal levels on a linear scale as a function of time. Different transformations can be applied to the visualiser. The node does not apply processing to the signal. 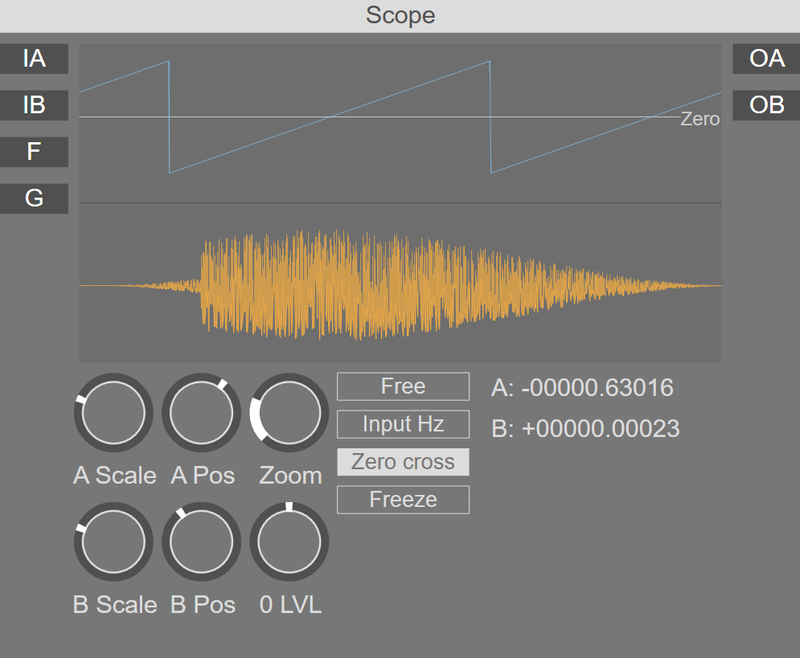 F: Scope frequency (when set to Input Hz). G: A gate signal resets the scope. OA: The value received on 'IA'. OB: The value received on 'IB'.